Trial and error costs you time. To get the consistent quality you need, look to Original HP supplies designed with your printer as an optimized printing system to provide accurate lines, sharp detail, and rich color quality. Choose the size to fit your needs and your budget whether you print a little or a lot. 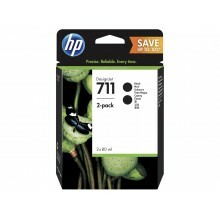 Color cartridge 3-packs keep you working, not running to the store. Intelligence built into the cartridge and printer alerts you when it's time for a replacement. Imagine the impact you can make with clear, easily readable drawings and colorful, powerful presentations. Original HP inks deliver a unique combination of quality and resilience—see sharp lines in fast-drying, smudge-resistant prints.